America is a 1924 silent historical war romance film. 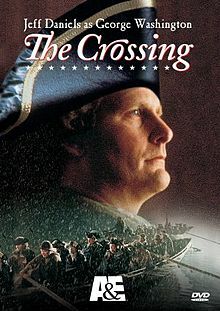 It describes the heroic story of the events during the Revolutionary war, in which filmmaker D. W. Griffith created a film adaptation of Robert W. Chambers’ novel The Reckoning. The plot mainly centers itself on the battles of the New York State, with romance sliced into the individual movie scenes. The story shifts between the British up in Northern New York, and the colonial patriots in Massachusetts and Virginia. Up in New York, a little remembered sub-plot takes place. 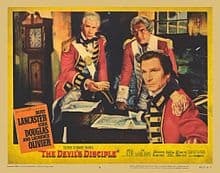 British general Captain Walter Butler (Lionel Barrymore), a loyal and ruthless supporter to the king, leads the Iroquois Native Americans in viciously barraging attacks at the settlers who are siding with the Revolution. In Lexington, Massachusetts, Nathan Holden (Neil Hamilton) works as an express rider and minute man for the Boston Committee of Public Safety. At a mission to deliver a dispatch to the Virginia legislature, he meets Nancy Montague (Carol Dempster) and falls in love with her, but her father Justice Montague (Erville Alderson), a Tory judge, is not impressed with the rioter. 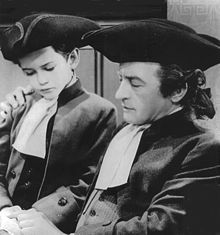 Nancy Montague’s brother, Charles Montague (Charles Emmett Mack), is very influenced by George Washington’s heroism and decides that he wanted to support the colonists. However, he dies fighting the war in Bunker Hill. Nancy and her father travel to Mohawk Valley, while Holden visits George Washington (Arthur Dewey) at Valley Forge. He gets sent to New York with Morgan’s raiders to settle down the Native American attacks up north. Meanwhile, Montague has arrived in the north country for a visit at his brother’s home. Butler occupies the Montague estate. His men kill Montague’s brother and he arrests Montague and takes Nancy prisoner. Holden arrives to spy on Butler and overhears his plans for a massacre attack. He leaves to sound the alarm, reluctantly leaving Nancy behind with Butler. Butler plans to force himself on Nancy, but the Native Americans decide to attack immediately and Butler is compelled to join them. Nancy escapes when Butler leaves for the battle, and she and Montague reach the fort safely before the attack. The attackers mount ruthless attack on the fort, ultimately breaching the walls and killing many settlers. The Morgan’s raiders arrive and liberate the fort, saving the lives of Montague and Nancy. A separate group of militia and Native Americans chase down and kill Butler, putting a stop to his plan. Montague believes in Holden’s worth, and allows him and Nancy to be together. The film concludes with the surrender of General Cornwallis and the presidential inauguration of George Washington. The film’s climax was very original and thrilling, as in most other Griffith films, complete with action and exciting stunts in the rescue scenes. However, film critics described the motion picture as lacking in modernity of the time. The movie was unlike the other films of the time, at its original release. The story did not quite fit together as a whole and the order of which scenes were presented in was very confusing to follow, but was rather effective in individual scenes. The usage of title captions was also criticized. There would be a block of text explaining motifs and character relationships rather than having the characters display them through their acting, which is not made clear on screen. 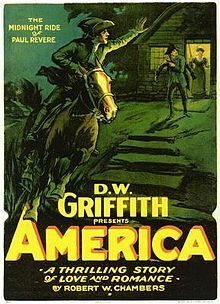 America did receive as large an audience as Griffith’s previous films did. It is possible that the director had trouble differentiating between the colonists and British, since they both held origins to Great Britain. The audience is not clearly shown who are the antagonists and the protagonists. In addition, the movie’s time frame was not rational. The film’s time period made for a very long romance for Nancy and Holden before they could actually be together, since the first scenes were in 1775, but concluded in 1789. Its failure was perplexing, despite heavy promotion, considering Griffith spent over a million dollars on the production. Griffith used many popular movie actors at the time, but he felt that there was no need for them to play the roles in his films, and could not afford most of them anyway, after they began to consume nearly all of his money in expensive productions. As a result, Lillian Gish, who acted in a well known film of his, Orphans of the Storm, departed him after he could not pay any more for her services, and left him with Carol Dempster, who had far less appeal than Gish. She showed very little on-camera allure with Neil Hamilton, and only good with reaction scenes and had limited facial expressions. The film was not completely useless to Griffith, but he was still in debt with massive amounts of money and did not receive that boost of attention he was hoping for.